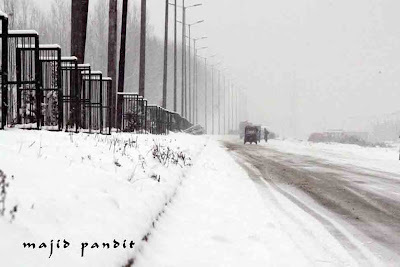 Kashmir woke up yesterday covered with white velvet blanket. I stepped out and met a few people including a group of playful kids. In no time I realized a fact that a lot of people including me, like snow. A few find it to be an unnecessary freezing of water. 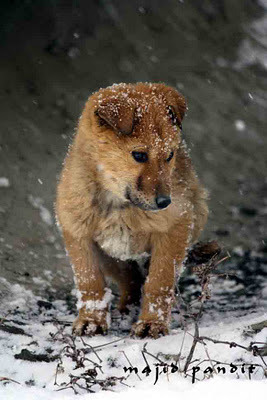 And I also saw this little chap (image below) facing its first winter playfully. He was thrilled to be part of the nature's opera. 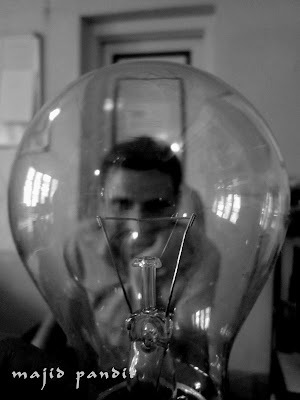 Kashmir: it is all about a bulb! The unfortunate story of Kashmir. As my twitter friend Afaq (@afaq_bacha) says "These incandescent bulbs are a thing of past and for good reason too. A relic and an easily avoidable drain on our meagre energy resources." Kashmiri shikarawalas (boatmen) returning home after a busy working day. 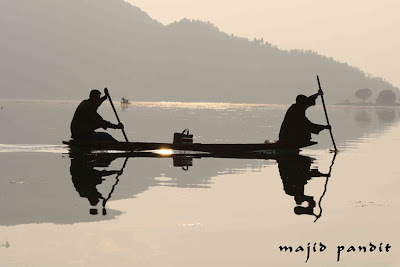 They survive on these waters and cannot think beyond these mesmerizing water bodies of Kashmir. The Dal offers them livelihood and they bring Dal alive.